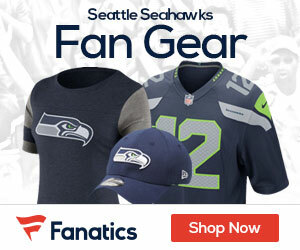 « Grab The Seahawks New Era On Field Classic 39THIRTY Flex Hat! LAST GAME 9/8/13: Seahawks 12 at Panthers 7. Seattle WR Jermaine Kearse catches 43-yard TD pass from QB Russell Wilson. Seahawks WR Doug Baldwin adds 7 catches for 91 yards. BROADCAST CBS (1:00 PM ET): Ian Eagle, Dan Fouts, Jenny Dell (Field reporter). SIRIUS: 139 (Sea.) 126 (Car.). XM: 232 (Car.). SEAHAWKS: QB RUSSELL WILSON has won both career starts vs. Car. In last meeting, had 320 pass yards & 115.7 rating. Last week, passed for 313 yards (110.1 rating) & rushed for 106 yards, 1st QB in NFL history with 300+ pass & 100+ rush yards in game. Aims for 4th in row with rush TD & has 100+ rush yards in 2 of past 3 games…In 12/5/10 meeting, RB MARSHAWN LYNCH rushed for 3 TDs, tied for his most in game. Has TD in 8 of past 10 (incl. playoffs) & has 11 TDs in those 10 (8 rush, 3 rec. )…WR DOUG BALDWIN had 7 catches for 91 yards in last meeting. Had 7 catches for 123 yards & TD last week. WR JERMAINE KEARSE had 43-yard TD in last meeting. TE COOPER HELFET had 1st career TD last week…Since entering league in 2011, CB RICHARD SHERMAN leads NFL with 20 INTs. LB BOBBY WAGNER had sack in 10/7/12 game vs. Car. Leads team with 50 tackles. S KAM CHANCELLOR & LB K.J. WRIGHT tie for 2nd on club with 44 tackles. DE MICHAEL BENNETT has sack in 3 of past 4 meetings. LB BRUCE IRVIN had 2 sacks & FF in last game vs. Car. In last meeting, S EARL THOMAS & CB BYRON MAXWELL each had FF. LB MALCOLM SMITH had 10 tackles & FF last week…PANTHERS: QB CAM NEWTON has won 9 of past 10 starts at home. In those 10, has 98.3 rating, 16 pass TDs & 3 rush TDs…RB DE ANGELO WILLIAMS had 100 scrimmage yards (86 rush, 14 rec.) in last meeting. RB JONATHAN STEWART rushed for 92 yards & TD in 12/5/10 meeting…In 1/16/11 Div. Playoff vs. Sea. (with Chi. ), TE GREG OLSEN had 3 catches for 113 yards (37.7 avg.) & TD (58 yards). Had 8 catches for 105 yards last week. Leads team with 5 rec. TDs, his 7th consecutive season with 5+ TDs. WR KELVIN BENJAMIN leads NFL rookies with 477 rec. yards & 5 rec. TDs. WR JERRICHO COTCHERY had 6 catches for 81 yards in his last game vs. Sea. (12/21/08 with NYJ). LB LUKE KUECHLY has 20 tackles in 2 meetings & had INT in 10/7/12 game vs. Sea. Since entering NFL in 2012, leads league with 402 tackles. LB THOMAS DAVIS had sack last week. DE CHARLES JOHNSON had sack, FF & FR in last game vs. Sea. Had sack last week. S ROMAN HARPER has 2 sacks, FF & FR in 3 meetings. Ties for NFC lead with 3 INTs. DT DWAN EDWARDS ties for 4th in NFC by DT with 3 sacks. Welcome to my blog ! I’m Kaitlin.